Editor’s Note: It’s been too long. And I’ve missed writing. The new year brought with it a lot of change in your favorite blogger’s life – almost entirely good change. Hello to a great new job, goodbye to a great old job. It all added up to a short break on the blog. We’re back now, and excited about a number of fun things going on for the blog in 2012. Here’s hoping it’s the greatest year of all, filled with many memories afield. There are very few things that bond people like the camaraderie of the field. Time shared in the outdoors has a certain knack for binding people together as a brotherhood, a flock of kindred spirits in a world filled with forces that tend to crowbar people apart at every corner. The amazing thing about my favorite sport isn’t just how it connects one hunter to another, rather how it fastens communities together. I was recently reminded of that in a way that I was simply not expecting: at a heartbreaking funeral. Over and over again, the memories shared of one of those being remembered during the service, included time at the hunt club, or time together on this or that hunt. And with each memory, I found myself thinking that those stories sounded very much like the ones I imagine my family and some of my closest friends sharing. I could certainly relate to those moments. Often times it’s hunting that binds together the people of the small, rural towns like the ground I grew up stomping in Allegany County, New York. It’s not just the actual hunters who share in the connection to hunting. Wives and mothers cooking, kids sharing stories about their dads at school and families sharing stories all year long about the hunts of seasons passed. Those small towns exist all over this great nation, with hunting representing that local culture’s glue. A friend who visited my neck of the woods made an astute observation that he shared with me year’s ago. He said that meeting people in most places of the world usually means some conversation about the weather. Not in Western New York. There, you’re always asking about deer. You rarely even have to mention you’re talking about deer. For the town where I grew up, that is already known. Everybody knows. 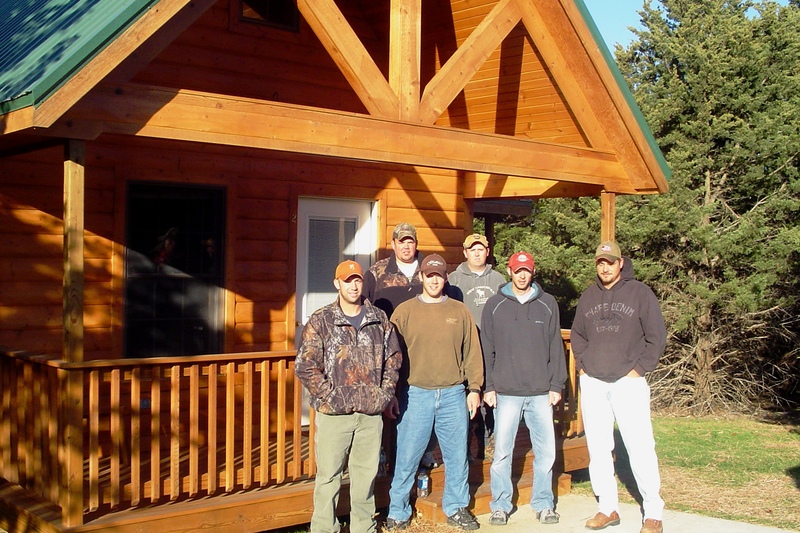 This entry was posted on Sunday, February 12th, 2012 at 9:55 pm	and tagged with camaraderie, deer, Deer Hunting, hunting in rural areas and posted in 2012, Day Afield, General Tales. You can follow any responses to this entry through the RSS 2.0 feed. Thats a picture of a great memory!